When $9.8 billion Dropbox announced Monday that it plans to acquire e-signature startup HelloSign for $230 million, analysts were not surprised. Some analysts see this deal, which is expected to close Q1 2019, as a pushback at leading e-signature company DocuSign — a partner to Dropbox that may have turned into something of a frenemy. Last fall, $8 billion DocuSign acquired a cloud-based document management platform called SpringCM, in a move that could bring it into direct competition with Dropbox. Analysts agree that this is a strong move for Dropbox, hinting that the company could be making a bolder move for larger businesses. Dropbox announced Monday that it will acquire e-signature startup HelloSign for $230 million, in the $10 billion cloud storage company’s largest acquisition to date. This deal is expected to close during Q1 2019. HelloSign was founded in 2011 and had raised $16 million in funding. For some Wall Street analysts who watch Dropbox closely, this move was unsurprising — to them, it was an obvious move to counter DocuSign, the $8 billion leader in the e-signature space, even as Dropbox looks to deepen its product offerings for larger business customers. In fact, Dropbox had recently sent a user survey that asked users if they would be interested in using a Dropbox E-Signature feature, said Piper Jaffray’s Alex J. Zukin, Sr. in a note to clients. That survey even asked about other e-signature vendors, including HelloSign, and what processes the hypothetical new feature could replace, he wrote. The two companies have been partners, with Dropbox users able to use DocuSign to e-sign the documents that they stored in the cloud. But DocuSign recently made an acquisition, in the form of SpringCM, which signals that the two companies may soon find themselves competing in the cloud storage market for businesses. Christopher Eberle, senior equity analyst at Nomura, expects Dropbox and DocuSign to go their separate ways. 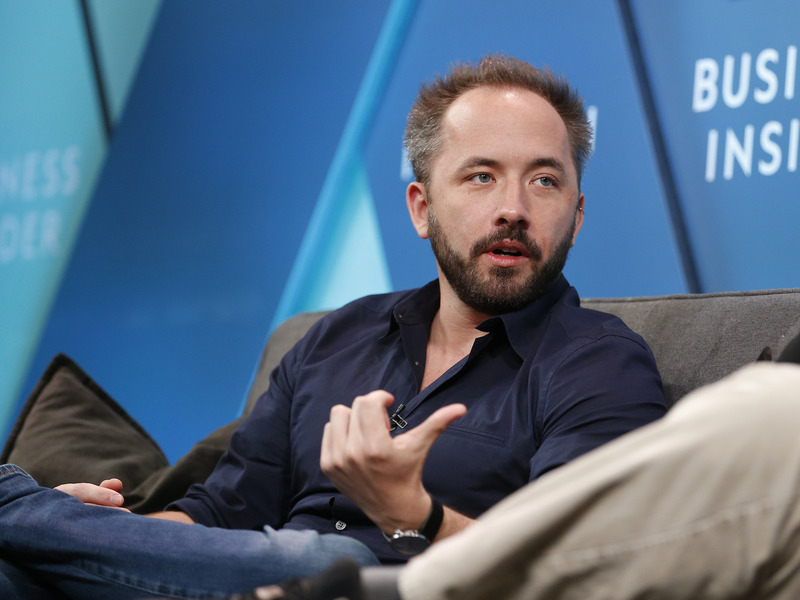 Still, Dropbox says that it’s still friend, not foe, with both companies. „DocuSign and Adobe are important partners of ours and have built businesses that serve some of the biggest companies in the world. That won’t change,“ a Dropbox spokesperson told Business Insider, in part. Right now, the fast-growing DocuSign is considered the industry leader in the e-signature business, followed by Adobe’s EchoSign. With SpringCM in its toolbox, DocuSign could be looking to eat Dropbox’s lunch. However, with about 12 million paying customers, Dropbox has the advantage of having more scale than the relatively more niche SpringCM, which focused exclusively on helping customers manage business documents like contracts. Similarly, EchoSign benefits from its association with the Adobe empire, which encompasses many products. To that end, it could be DocuSign’s game to lose. Still, Dropbox has to prove that it knows what it’s doing with HelloSign and its technology, warned Richard Davis, analyst with Cannacord Genuity, in a note to clients. „What we don’t know at this point is the breadth and roadmap for the firm’s workflow and contract management tools, which, to that extent, could give the firm competitive differentiation,“ wrote Davis. And ultimately, analysts don’t seem terribly concerned about DocuSign’s prospects. „We believe DocuSign warrants a premium valuation due to its strong competitive position, attractive financial profile, and impressive leadership team,“ Patrick Walravens, director of technology research and senior analyst at JMP Securities, wrote in a note to clients. All in all, analysts say, this acquisition makes sense for the company, and they are optimistic about it. Currently, HelloSign has over 80,000 customers, including Samsung, Lyft and Twitter. Walravens estimates in his note that HelloSign has an annual recurring revenue of $20-$30 million, and that it’s growing at about 50% each year. Ultimately, this is a sign that Dropbox is taking a page from Adobe’s book, and trying to move upmarket with features that cater to larger enterprise customers — important as it move beyond just serving the consumer users that helped it make its name. In that vein, you can take it as a sign of things to come. In general, the move seems to have been well recieved, with the company’s stock closing up 1%, at $24.14 per share, at the closing bell. „We are positive on the acquisition and believe that this is a natural adjacency for Dropbox given its ability to capture a greater portion of its customers‘ workflows with both document workflow as well as e-signature, and believe that it is a natural cross-sell,“ Piper Jaffray’s note said.